Living on Lake Norman has many advantages. It is located conveniently near major interstates with easy access to Charlotte. The surrounding towns of Huntersville, Mooresville, Davidson, and Cornelius provide the best in shopping, dining, entertainment and employment, all with excellent real estate opportunities. The lake presents endless possibilities for water sports, such as boating, water skiing and swimming along with everything else that the lake-living lifestyle offers. This area has plenty to offer when it comes to golf as well, with acres upon acres of magnificently landscaped courses. Some of the best public and private courses in the region surround the shores of Lake Norman. Along with their championship fairways and greens, the clubs themselves offer great amenities including excellent dining, social events, recreational activities, tennis, swimming, child care, receptions and meeting space. 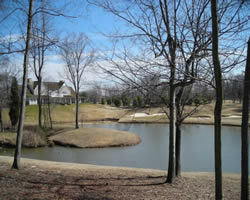 Living along Lake Norman or in one of its many golf course communities is a very rewarding experience. The beautiful scenic views of the pristine lake and the rolling fairways of golf courses will leave you spellbound. Once you set foot here, you won't ever want to leave. Looking for lake or golf homes for sale? Looking for lakefront or golf homes for sale? Search our local listings database for access to listings in lake, golf and surrounding communities. Whether you want to buy or sell lakefront and golf area real estate, you can browse through properties or find a wide variety of real estate resources available on this website. If you are looking for a REALTOR® for lake and golf communities, choose Debbie Sloan. As your Lake Norman and golf community real estate agent, Debbie Sloan can assist you with all of your home buying and selling needs. We can provide you with access to the local listings database and offer our experience and knowledge to make the home buying or selling process easier for you and your family. Contact Debbie Sloan today to get your home search started!